My grand daughter princess had a birthday the other day and one of the gifts she received from nana and papa was the pink kitty with strawberry carrier from Aurora World Inc. How precious this little bundle of the pink kitty and carrier look together all dressed in pink. Not only pink color but also scented with a soft sweet strawberry aroma. Perfect for any little girl or collector or precious stuffed animals. The name of this precious kitty is Milly and there are ten (10) milly wanna-bes available as well. Each of the Milly wanna-bes are $10.99 each. Milly wanna-bes are dressed as fairies, princesses and ballerinas. There are also three flavors of scented carriers available in scents of vanilla, chocolate and strawberry. The scents of the precious carriers last an approximate six (6) months. 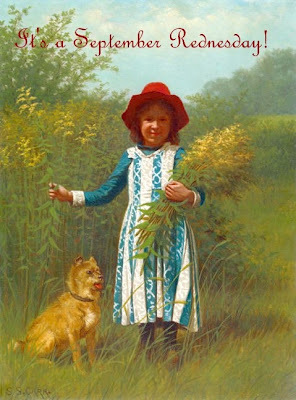 Aurora Gift.com is where you can find the wonderful Milly collection. Milly can also be found at more than 25,000 retail locations world wide. A bit about Aurora World Inc.
Aurora World Inc. started in 1981 and now nearly 30 years later has built itself into a leading manufacturer and supplier of high quality, competitively priced plush toys and gifts. The extensive product lines and growing influence in the worldwide marketplace is a reflection of how outstanding Aurora World Inc. has become. Aurora World has headquarters in Korea, U.S. United Kingdom, and Hong Kong. YooHoo & Friends an international plush toy phenomenon is just one of the many creations Aurora World has set in motion. The plush toys that Aurora World Inc. bring together are adored by both young children and tweens alike. Customers range from major zoos, high end toy stores, top gift chains, hospital gift shops, fine florists candy stores and gift and stationary stores. I must tell you that not only did princess love Milly but so did her aunts who are both teens. Milly was so cute and smelled so cute that she was adored by many of the women that I shared her with prior to giving her to my grand baby. I am sure someone you know would like a Milly of their own. Aurora sent me a Milly to review and I eventually gave to my grand baby. One of Annie's Home has the chance to have their own Milly from Aurora World Inc. as well. To enter the giveaway: visit Aurora World Inc. and let me know another product they have that interest you. As stated in this post we received a milly the pink kitty for purposes of review. The opinions in this post are those of mine alone. It is only my opinion and you may have your own. When it came time to name my children before deciding on the perfect name we made a list of many. Our child's name is just as important as they are and it often helps to define their personality. Creations Elin takes both the child's name and personality into consideration when they created their wooden letters. Perhaps it the career choice of the parent or grandparent that helps determine the pattern of life they will take. Creation Elin creates wooden letters with fireman print on the letters. How cute these would be a favorite of my daughter because her husband is a firefighter. Firefighting is a way of life not just a job. That is why there are so many signs on my granddaughters life. Just look how cute the letters with the fireman print are. The pattern on these letters I believe are quite Wimsey. The first thing they reminded me of was an archers bulls eye. How cute these would be for a boy who is growing up in a hunting family. At the same time this pattern would be fun for a boy or girl because the colors are so fun, the shapes are whimsy as I said and they would go with several different bedroom decors. Look how pretty this pattern is. To me the letters are perfect for any little girls room. I love pink and chocolate colors in most any thing but in these letter blocks they are simply adorable. The hearts seem to give the letters a bit extra pinch of love. Any little girl I am sure would love to have their name spelled in name blocks such as these. Creations Elin offers one of a kind hand painted items for children's bedrooms or playrooms. Lovingly crafted with old fashioned care every piece that is created is a one of a kind because each piece is individually made with the same care take for each piece. Creations Elin work with their customers to personalize any item in the colors to coordinate with bedding or room decor to create a specially designed product to display with pride The wooden alphabet letters created by Creations Elins are available in a variety of patterns. Just take a look I am sure you will find a pattern and color perfect for your child. One of Annies Home readers will be able to win 2 letters in their choice and pattern. This would be perfect to use as your child's initials to hang on their bedroom wall. To enter the giveaway: Visit Creations Elin at http://www.creationselin.com/ and let me know the pattern and letters you would choose. Giveaway starts now and ends September 17, 2010. Good Luck. Email must be in comment or on blog profile or entries will not count. We received a set of wooden initials for purpose of giveaway. The thoughts and comments expressed in this post are mine and have no way been affected by the sponsor or others. Remember they are only my opinion and yours may differ so to get your own you will have to check them out for yourself. In a very large bowl, allow egg whites to stand at room temperature for 30 minutes. Meanwhile, sift cake flour and 3/4 cup of the sugar together 3 times. Preheat oven to 375°F. Add vanilla and cream of tartar to egg whites; beat with an electric mixer on medium to high speed until soft peaks form (tips curl). Gradually add the remaining 3/4 cup sugar, beating until stiff peaks form (tips stand straight). Sift about one-fourth of the flour mixture over egg white mixture; fold in gently. Repeat sifting and folding in with the remaining flour mixture, using one-fourth of the flour mixture each time. Transfer half of the egg white mixture to another bowl; set both bowls aside. 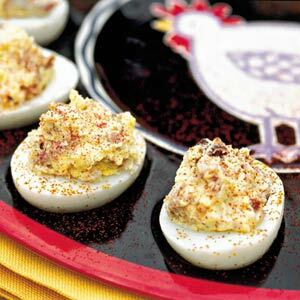 In a medium bowl, beat egg yolks with an electric mixer on high speed about 5 minutes or until thick and lemon-colored. Fold egg yolk mixture into one portion of the egg white mixture. Alternately spoon dollops of yellow and white batters into an ungreased 10-inch tube pan. Gently cut through the batters with a knife or a narrow metal spatula. Place tube pan on the lowest oven rack. Bake for 35 to 40 minutes or until cake springs back when lightly touched near center. Immediately invert the cake in the pan, standing the center tube over a tall-neck bottle. Cool thoroughly. Loosen cake from pan; remove cake. Frost with Lemon Fluff. 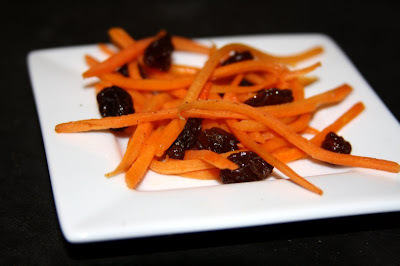 If desired, garnish with raspberries and orange and/or lemon peel strips. Store cake in refrigerator. All of the listed are symptoms of type 2 diabetes and worth a visit to the doctor to have things checked out. 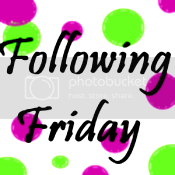 It's Friday and that means another chance to find some cool blogs to follow as well as to possibly get a few more followers as well. Mix last 6 ingredients and heat. Put carrots and onions in. Simmer just enough to heat well. 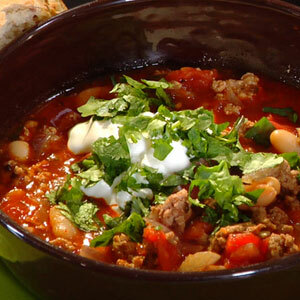 This recipe looks so very good and helps bring together the bounty that summer has provided us. Whether it be at the end of summer or right in the midst where all is plenty this roasted corn salsa would be great to serve to any barbq, tailgate party, or a simple weeknight supper. Preheat a broiler or prepare a charcoal fire and let burn to a gray ash. Place corn on a broiling pan or grill set about 6 inches from heat source. Cook, turning often, until kernels have softened and are lightly browned, about 10 minutes. Let cool, then cut off kernels from each ear (you'll have about 3 cups). In a large bowl, combine corn kernels, tomatoes, onions, olive oil, vinegar, salt, pepper and Tabasco sauce. Add parsley and stir well. Chill until ready to serve. Place eggs in a single layer in a large saucepan; add water to a depth of 3 inches. Bring to a boil; cover, remove from heat, and let stand 15 minutes. Drain and fill pan with cold water and ice. Tap each egg firmly on the counter until cracks form all over the shell. Peel under cold running water. Cut eggs in half lengthwise, and carefully remove yolks. Mash yolks with mayonnaise. Stir in pork and next 4 ingredients; blend well. Spoon yolk mixture evenly into egg white halves. Garnish, if desired. Combine mayonnaise and tomatoes in a small bowl. Spread evenly over 1 side of each tortilla, leaving a 1/2-inch border. Layer lettuce, onions, and bacon evenly over tortillas; sprinkle with salt and pepper. Roll up tortillas; cut in half diagonally, and secure with wooden pick. In a large bowl, mix vinegar, hot sauce, oil, garlic, and pepper. Peel, pit, and cut avocado into 1/2-inch cubes. Add to vinegar mixture and mix gently to coat. Drain and rinse peas and corn. 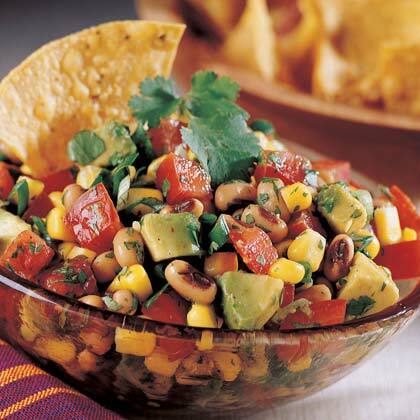 Add peas, corn, onions, cilantro, and tomatoes to avocado; mix gently to coat. Add salt to taste. Serve pea mixture with chips as an appetizer, or add cabbage and mix to make a salad. Mix together in a bowl the ground beef, onion, mustard, salt, and pepper. Rolls the mixture into the shape of hot dogs. Wrap the burger dogs with bacon in a spiral fashion. Place burger dogs on a baking sheet and broil for about 12-15 minutes, or longer if desired. Serve in the hot dog buns. Do you like football? If you do what level do you watch peewee, highschool, college or pro? What is the name of your favorite team. About this time of year and even before now you will find fruit stands selling peaches dotted across the area where I live in Southern Illinois. Oh these delicious peaches that you can eat right out of the box, sliced up in a bit of cream, or make into wonderful desserts. Here is a vintage recipe for fixing a lovely peach dessert. I hope you enjoy whether peaches are in season or not. Going Green is the new fashion sense for many. The truth is for many it is more than a fashion sense it is a way of life, a way of doing good for our own environment, our own part of the world, the entire earth. There are several ways that you can improve your environment and make your home greener. I would like to share a few of these tips here with you. Reusing is also a great way that can help make not only the earth green but your home Milk Jugs have many uses after being empty.. Some of these uses include keeping cold water in (this is something that my grandparents did often. They would keep a jug of water in the fridge. Let me tell you on a hot day that cold water quenched the thirst.) I have also seen milk jugs used in craft projects you can look online and find many crafts that use empty milk jugs A third option is to cut off the top of the jug and make a funnel with a handle. You can then use the bottom of the jug after being washed out for a container. Using black out curtains or drapes can help you save energy as well. In the summer they block the sun rays out and keep the house a bit cooler. In the winter they can be opened in the day time to allow the sun to come in and heat the house a bit and close them to keep cold drafts out at night time. • Here’s a tip you can use this coming weekend when you have the annual barbecue. Instead of using firelighters that have harmful chemicals try a natural firelighter instead. The food may taste better just because you know you did something to help make the planet green. • Environment free glue has come a long way from flour and water. Simply check on the market. This would be great for crafts. • Plastic bags like the ones from the grocery store have many reuses. For one you can make a plastic wreath using a wire circle and tying plastic bags on. Another great use is for knee pad covering tie around knees and you will have a wonderful knee pad cover to do your gardening and weeding. • We all love to read those cereal boxes while we are enjoying our breakfast but did you know there are many great ways to reuse the cereal box Cut the box for a magazine and bookmarks. Use as postcard by cutting decorating the postcard. I hope that these tips will help you make your world a bit greener. Mrs. Meyer’s Clean Day makes household claners for people like you and me who are searching for a better way to clean. All of the cleaning supplies are earth friendly biodegradable, phospate free and not tested on animals. No more chemicals is our desire and we are in luck as Mrs. Meyer’s Clean Day products use natural plant derived essential oils to powerfully fight against daily dirt and grime. Rather than smelling the harsh chemicals after cleaning your house you will be able to enjoy the scent of cool and crisp basil, soothing lavender, invigorating lemon verbena and uplifting geranium. In addition to the cleaning products Mrs. Meyer’s makes a line of Baby Blossoms personal care products developed and dermatologist tested for little ones. So when you get ready to clean next time remember to do so with Mrs. Meyer’s Clean Day cleaners. 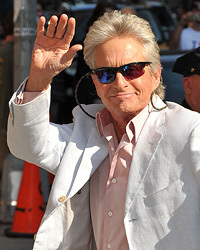 One of my favorite actors Michael Douglas is battling stage 4 cancer. The cancerous tumor was located at the base of his throat. Douglas married to Catherine Zeta Jones has two children. The doctors have given Douglas great chance of recovery of 80%. Good Luck Michael my prayers are with you. I can not swim a lick. I wish that I could but I am so scared of water that when I try I panic. These boys can sure swim and look at them dive they are great. No fear in their eyes. Happy Birthday Kaiden. Can you all tell he is a st. Louis Cardinal Fan? This is the young mans first day of school. His daddy is trying to get him to smile but he has other ideas. A place where we can share our thoughts that are not large enough for an entire post by it self. College for the kids seems to be agreeing with them. They are all going to class daily and not a complaint about school. However, it is the morning and getting up where I hear lots of complaints. I do realize that they have to get up early to catch the bus but they are young and should snap back pretty good. We were delivered 2 big boxes of homemade goodies the other day. They were delicious rocky road treats, brownies, oatmeal raisin cookies, and some other snacks as well. The thing that got my attention was the delicious cookies they were made with oatmeal, raisins and nuts. They were good and so was everything else. We thank the nice lady who believed that the snacks would be better fit here. The teens devoured them. Tomorrow night missions project will begin at church. It is always nice when this starts by May we will be a bit tired and ready for a break but for now we love to see the little children learn about our Lord. A dear friend of ours passed away this week. He was an elder gentleman at church who should have still had a long life ahead of him. He became sick unexpected and went to the hospital to find out that he had cancer throughout his body there was nothing they could do. The doctors gave him 10 days to live. How sad. I pray for his wife to have strength and to know that she is not alone and loved very much. They were a duo where you saw one you saw the other. I know this will be very hard on her. Please keep her in your prayers. 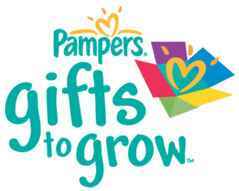 Pampers Gifts To Grow released a another new 10 point coupon code. Enter: HangOn2Summer20 into your Pampers Gifts to Grow account to get your 20 points. MomStart is hosting a giveaway for my sisters favorite restaurants. While I have never been there my sister has been there several times and loves it. What restaurant am I talking about? Olive Garden the place you can fill up on the pasta as well as enjoy the delicious soups, salads and bread. If I was to win I am thinking I would give the certificate to my sister as a present. However the salad bowl that comes with it would be all mine. If you want to enter this giveaway you need to do so by September 13, 2010. Peel potatoes and cut in half, place in crockpot. 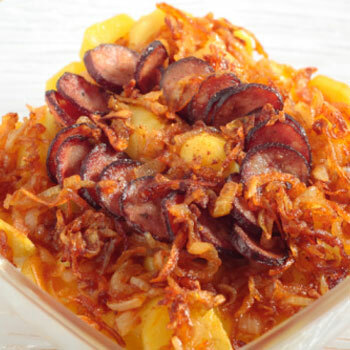 Cut smoked sausage into pieces and place on top of potatoes. Chop onion. Pour pizza sauce on top, cook in crock-pot until potatoes are tender. Princess will turn two this week in just a few days. Oh how exciting!!!. Nana and Papa will get to see her very soon. Shortly before her birthday, a few months ago her mommy started potty training her. For the most part she is doing a great job. She is currently using her potty seat but will soon mature to the toilet that the whole family uses. While Princess is not short by no means nearly 3 foot tall at 2 years old she does still have some problems with coordination. The Little Looster "Booster for the Loo" is the perfect thing for her. It will help Princess to use the big girl potty without having to use her hands to position herself on the toilet. The Little Looster “Booster for the Loo” is simple in concept but wonderful in usefulness. 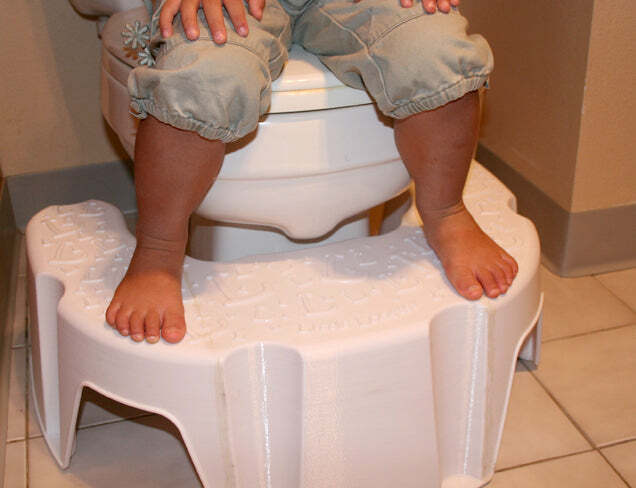 It is a step stool that is created to wrap around the toilet. It is wide enough for kids to stand on and it is sturdy so there is no worry in wobbling or tipping. The need to touch the toilet for balance is gone. This always worried me because of the germs that are on and around a toilet were then transferred to her hands and very often those hands end up in the mouth before we could wash her hands. Don't worry though it will not be in the adults way when they are using the toilet. But if the adult is a little short like my mother in law was they can also rest their legs and feet on the little stool which cuts out the dangling leg syndrome of the child or short adult. The Little Looster is the createion of a mother of three from Oregon who designed it after getting her three children potty trained because she believed there had to be a better and /or easier way. I love the Little Looster because it allows our Princess to use the big girl potty and there is no need for her potty to take up room in the bathroom any more. Like wise it is stable and she can use it without us worrying about her falling. In fact I feel that the structure of the little looster if it were in any other shape would be the perfect stepstool for anywhere in the house. It has just the perfect wideness to stand on and provide support. The Little Looster is available for just $39.99 on their website located at http://www.littlelooster.com/ In addition one of Annies Home Readers will be receiving their own Little Looster "Booster for the Loo". To Enter Giveaway you must visit the Little Looster website and let me know something I did not share with you. Giveaway starts now and ends September 21, 2010. Good Luck Email needs to be in comment or on blog profile. We received a Little Looster for review purposes. The thoughts and opinions shared in the post are my own. Your opinion may not be the same at any rate you will have to check it out yourself to form your own opinion. Fill slices of ham with mixture and roll up. Place in casserole, pour pineapple juice over all. Bake 350 for 20 minutes. ** bought a ham and had it sliced about 30 slices for $5 this was water packed ham. I just love taking my children in the kitchen with me. There are so many lessons they can learn from science to math to spelling to reading and the list goes on and on. I want to share with you how you can have fun in the kitchen and have a math lesson as well. Measurement is easy to teach in the kitchen. You can measure water in different measure amounts to familarize your child about how much something is. For example fill 2 1/2 cup measuring cups with water and then pour them into the 1 cup measuring cup demonstrating how 2 1/2s create a whole 1. You can demonstrate the same thing using 1/3s and 1/4 measuring cups as well. You can also create a recipe and allow them to measure the ingredients needed. Cooking also teaches kids to follow directions. Reading the directions also allows them to practice reading skills. Choose a recipe for your child to make and tell them that you are not going to read them the directions or tell them how to make it. Give them a copy of the recipe and allow them to read the directions their selves. Remind them that following the directions and using correct measurement will ensure that the recipe will taste good. Preheat oven to 375. Oil an 8 x 8 baking dish. Peel, core and slice the apples. Place apples in the baking dish and sprinkle with lemon juice. Combine oats, flour, brown sugar, cinnamon and nutmeg in separate bowl. Use a fork or a pastry cutter to cut in the butter, until crumbly. Spread oat mixture over apples. Bake 30 to 40 minutes, until golden brown and bubbly. Start with filling the calendar in with monthly appointments and commitments. After filling in those two spots your calendar may start looking a bit full all ready. Are you over booked anywhere? Do family members need to be in more than one place at a time? If so take time now to create answers to conflicts so that they are not surprises later on. Make it an important family time to check the calendar daily for all members of the family that way everyone knows what to expect for the day and coming week. One idea for this is have family members take turns announcing what is listed on the family calendar. It is a great idea that you try to schedule family time as well as time to just rest. If the calendar gets too full the family will become exhausted and life will not be as great as it could be. I hope these tips help you and your family organize a calendar so that you know which direction you are all going in. One of my all time favorite recipes is stuffed pork chops. I love them there is nothing better to me than pork chop and stuffing. I come from rural upbringing where meals like these are served to the family. In fact we have a restaurant where I am from that serves pork chops, apple sauce, stuffing and all the fixings in family style as a speciality. I hope you enjoy as much as we do. Slice apples, place in bowl. Sprinkle with lemon juice. Toss with sugar, flour, cinnamon and nutmeg. Prepare stuffing mix as directed. Spread stuffing mix into bottom of a 9 x 13" baking pan sprayed with cooking spray. Place pork chops on top of stuffing. Most of us do the dishes at least daily. There are times where I do them two to three times a day Today may just be one of those days. I just cleaned the kids bedrooms and found tons of dishes they had from the weekend. 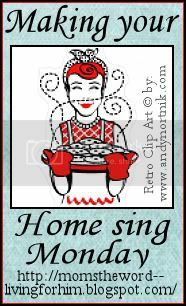 While I am preparing to wash the dishes I thought I would share with you a few homemaking tips for the kitchen. To get the stains off of cookie sheets, pie pans and other cookware, soak them in a solution of borax and water. If your jars or glasses look cloudy fill them with warm water and add a few drops of ammonia. Wait about an hour - then wash and rinse in hot water. Another solution to this problem is to wash them in a solution of 2 cups vinegar to a sink full of hot water. Silver that has dulled can be shined up again by rubbing a potato dipped in baking soda. Or when you boil potatoes, save the water to soak your silver in. I believe it is the starch from the potato that gets this job done. Never drain grease down the sink! It will clog up your sinks over time. If you forget and do it anyway, be sure to run some hot water with dish soap. Dawn is good for degreasing. If your sink does become clogged up pour 1/4 cup of baking soda down the drain followed by 1/2 cup of white vinegar. Wait few minutes and then pour a pot of boiling water down the drain. This has happened more than one time at our house sadly. To clean off the oven window, make a paste of baking soda and water. Rub onto the window and let sit for about 15 minutes. Wipe clean with a paper towel and clear water. Preheat oven to 375°. To prepare cake, place a rack in the lower third of oven. Lightly spoon flour into a dry measuring cup; level with a knife. Sift together flour, 1/2 cup powdered sugar, and ginger in a medium bowl. Sift together remaining 1/2 cup powdered sugar and 3/4 cup granulated sugar in another bowl. Place egg whites in a large bowl; beat with a mixer at high speed until foamy. Add cream of tartar and salt; beat until soft peaks form. Add powdered and granulated sugar mixture, 1 tablespoon at a time, beating until stiff peaks form. Sift flour mixture over egg white mixture, 1/4 cup at a time; fold in. Fold in 2 tablespoons juice. Spoon batter into an ungreased 10-inch tube pan, spreading evenly. Break air pockets by cutting through batter with a knife. Bake at 375° for 30 minutes or until cake springs back when lightly touched. Invert pan; cool completely. Loosen cake from sides of pan using a narrow metal spatula. Invert the cake onto a plate. Cut 1 inch off top of cake using a serrated knife; set top of cake aside. Hollow out bottom of cake using a small knife, leaving a 1-inch-thick shell; reserve torn cake for another use. To prepare whipped cream, place cream in a medium bowl; beat with a mixer at high speed until soft peaks form. Scrape seeds from vanilla bean into bowl; discard pod. Gradually add 3/4 cup powdered sugar, beating at high speed until stiff peaks form. Spoon all but 1 cup of berry mixture into cake shell; top with whipped cream. Replace top of cake; sprinkle with 2 tablespoons powdered sugar. 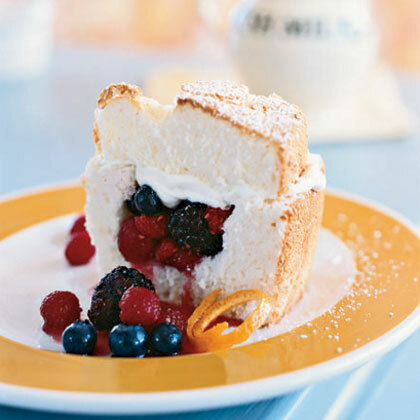 Serve immediately with additional berry mixture; garnish with orange rind, if desired. Whipped Cream Basics: For perfect whipped cream, use a bowl that's large enough to allow the cream to double in volume. Refrigerate the bowl and beaters for at least half an hour, or place them in the freezer for 15 minutes, and make sure the cream is very cold. 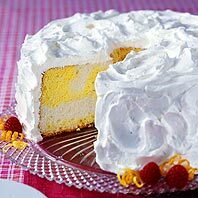 Use the freshest whipping cream available, and add sugar, vanilla, or any other ingredients near the end of whipping; adding them too soon in the process will decrease the amount of volume you achieve. 1.Cook the pasta according to the package directions. Reserve ½ cup of the cooking water. Drain the pasta and return it to the pot. 2.Meanwhile, cook the bacon in a nonstick or cast-iron skillet over medium heat until crisp, 6 to 8 minutes. Transfer to a paper towel-lined plate. Crumble when cool. 3.Wipe out the skillet and return it to medium heat. Crack the eggs into the skillet and cook until the whites are set but the yolks are still runny, 3 to 4 minutes. 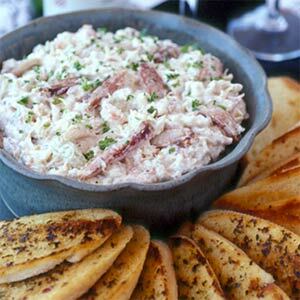 4.Toss the pasta with the bacon, the reserved pasta water, ½ cup of the Parmesan, ½ teaspoon salt, and ¼ teaspoon pepper. Let the child have a good cry. Sometimes they just need to get it out of their system. Allow them a bit of room so that they can get their frustration out. Create a diversion. We have all did this from time to time. When our child wants something that they can not have we have all tried to substitute their interest with something else. Investigate the problem. Is the tantrum being thrown for a need or something that you can help them with? If so then try to figure out what it is. This is a whole Lot easier than hearing your child throw a tantrum. Laugh it off because allowing your child to see the tantrum has an effect on you may be the worst. If you show stress or other emotions when your child throws a tantrum it may just give them the steam to keep it up. It is better to laugh than to cry so keep a chuckle in your voice and allow the child not to see it is bothering you. Get them out of there which is my daughters answer to many of the tantrums Princess throws. Many times they are at the grocery store, park or other public place. She will simply pick Princess up and put her in the car before long Princess is all smiles again. Another Blog Hop I have been enjoying seeing others blogs and signing up to follow. 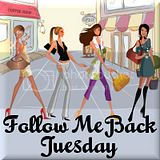 Remember if you follow me leave me a comment and I will follow back. My daughter is pregnant and we are delighted. There is one side effect to her pregnancies that we do not like all that much and that is the gas that she passes when pregnant. Many women have this problem because during pregnancy the baby starts to take up all the extra room making the digestive process slow down. On top of that many women including my daughter watch their diets more carefully and include dairy, veggies and fruits into their diets more when pregnant. One thing pregnant women can do to try to cut down on the gassy feeling is to cut out the foods that make them gassy like Brussels sprouts and broccoli. Have smaller more frequent meals to allow the digestive system a chance to break down the food being taken in. Large meals are often a mistake when pregnant. Just take it easy realize that being gassy is often part of pregnancy and that others love you and will have to live with you after all you are the one carrying the special bundle of joy. Its football season here and this little one wears his older friends jersey as he hangs onto the fence looking at the field and dreams about playing football one day.